Businesses take care of what goes at the front but tend to forget back office functions that are as critical as any front office function. All of us agree that the back office activities do not make a direct contribution to the revenue of any organization. However, we also accept that it is not possible to run an enterprise if these functions cease to exist. Every business needs back office support in one or the other form. Be it the simple data entry process and processing of forms to the complicated activities like maintenance of financial transactions and debt management, you cannot ignore the peripheral or support services of your business because of anything. In the present scenario, nothing matters more than profit. As a matter of fact, every company intends to streamline its existing offerings to the requirements of its customers. This is the reason organizations start searching for an economical and reliable Back office service provider with the expansion of their businesses. Not only does this enable an improvement in the productivity levels, but also maximizes the profit associated with a business. Consequently, enterprises seeking such services are consistently increasing in number. All this enhances the efficiency of the business on the whole. Supporting your enterprise through the services of a third-party means that you could redirect your workforce to focus completely on the core business functions that propel the flow of funds within your organization. Today, the majority of companies utilizes the services of an external agency for activities like data entry, management reporting, credit control and invoicing. In all likelihood, the significance of outsourcing has increased to a large extent during the last decade. The outlook that the business world held towards the back office function has changed a lot. At the end of the day, who does not want to save on its resources, expenditure and most importantly time. The implementation of back office support helps a business owner to keep cash aside and utilize for business expansion. Since the management personnel is relieved of some very important responsibilities, they get the time to plan and adopt a proactive approach towards their business. Therefore, it is completely up to them to do channelize the surplus resources towards more profitable projects. The companies that deploy back office outsourcing services are able to organize their work and improve their revenue, productivity and business results. Vcall Global has always believed in innovation even if it means doing something over and above its regular job responsibilities as a service partner. We give equal importance to every service we offer. This is the reason the quality of our services is often at par and even above that of the best across the outsourcing industry. When it comes to back office support, Vcall Global possesses the ability to manage all the end-to-end functions. It includes everything from data entry and data mining to sophisticated software development solutions. We deploy advanced technology and business solutions to minimize the cost incurred in carrying out Back office outsourcing activities. Moreover, we try to pass on the same benefits to our business affiliate. We never promise to deliver beyond our capabilities and believe in doing both small and big tasks with an equal level of conviction. 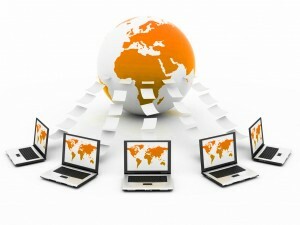 Back office Outsourcing work to us would definitely be a breakthrough move for your business.